Stay out of hot water with GoTemp. Poor temping practices will land you in a pickle. We all know those perfect-looking temp logs are all too often pencil whipped by employees. Its time to change that for good with GoTemp. Foodborne illnesses can damage our entire SUBWAY brand, not just your restaurant. Poor temping practices are a ticking time bomb. Time to call in GoTemp! Point your phone-mounted GoTemp and we’ll take it from there. 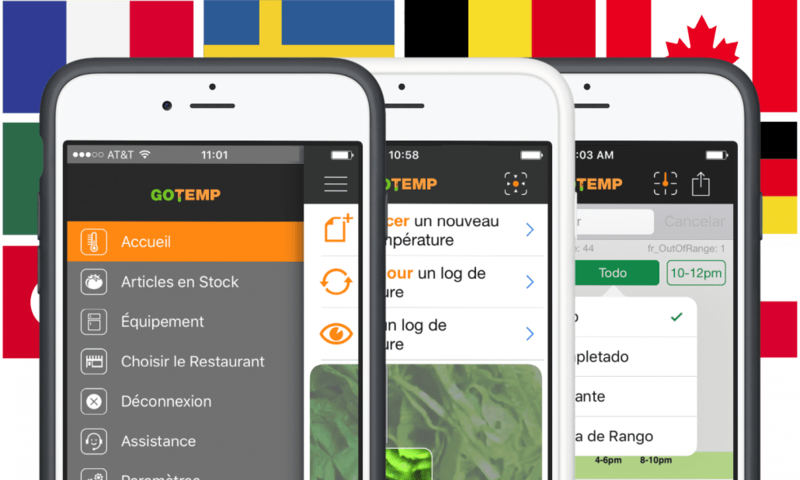 One tap and it’ll auto-recognize the food, snap a photo, and log the temp to the cloud! Employees forgetting to temp? 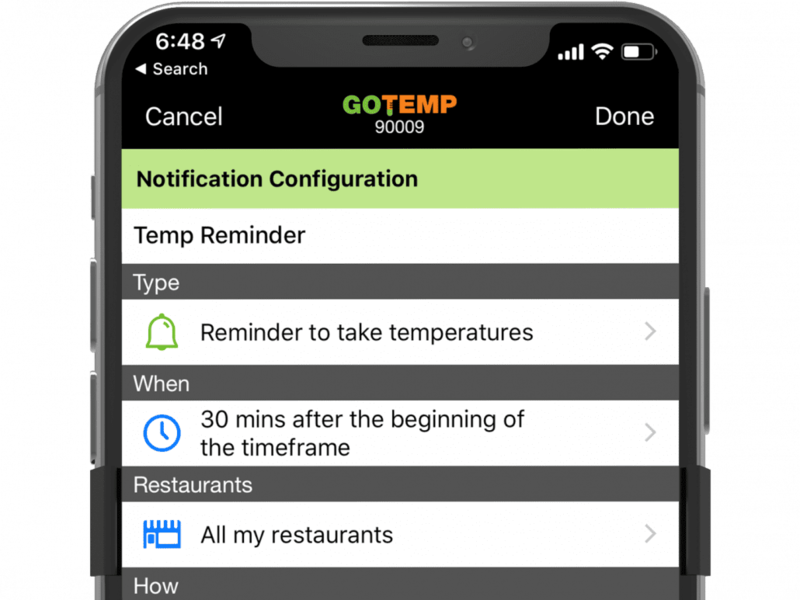 GoTemp features both POS and in-app reminders, triggering a text or email to management if temps aren’t taken! Knowing a temp is out of range is half the battle. 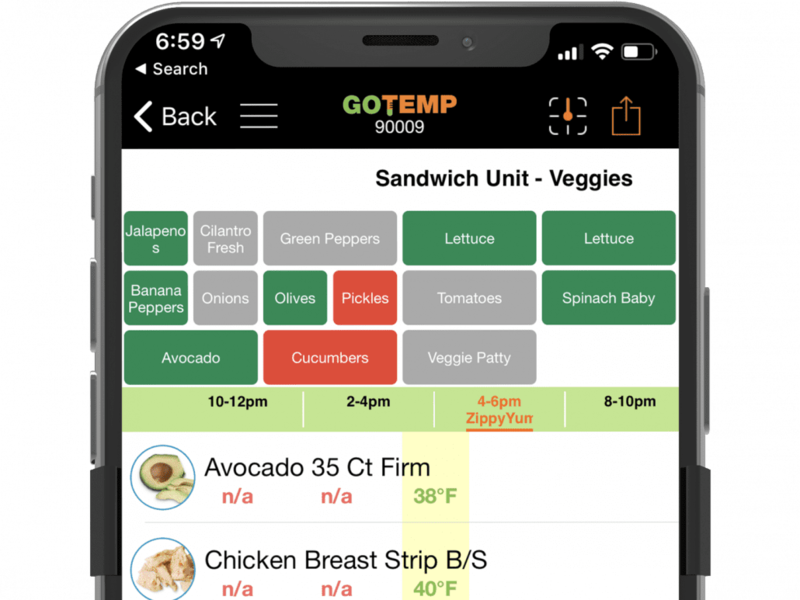 GoTemp has built-in workflows that are Subway-specific with step-by-step corrective actions. 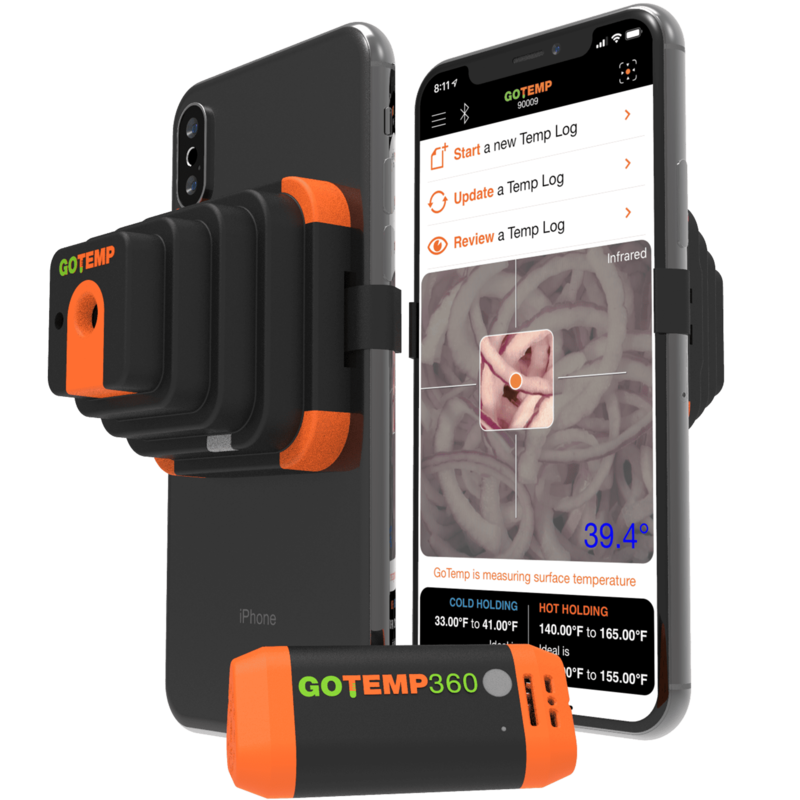 With the GoTemp360 equipment sensor, an optional add-on, you’ll get temp and other alerts on critical equipment before something goes wrong. Time to go cold turkey on bad temping habits. 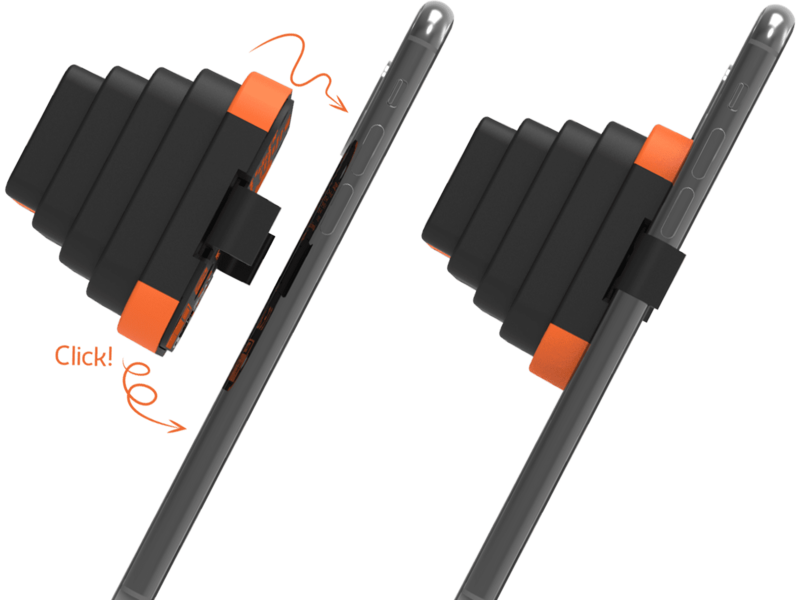 GoTemp arrives with several resizable brackets and clips to any mobile phone or tablet. Pair it to the app via bluetooth and off you go! The built-in laser shows you where the thermometer is pointing and takes three temperature measurements before averaging them together for ultra-accurate results. Just point GoTemp at your food and it does the rest. You can’t fudge your way past GoTemp. 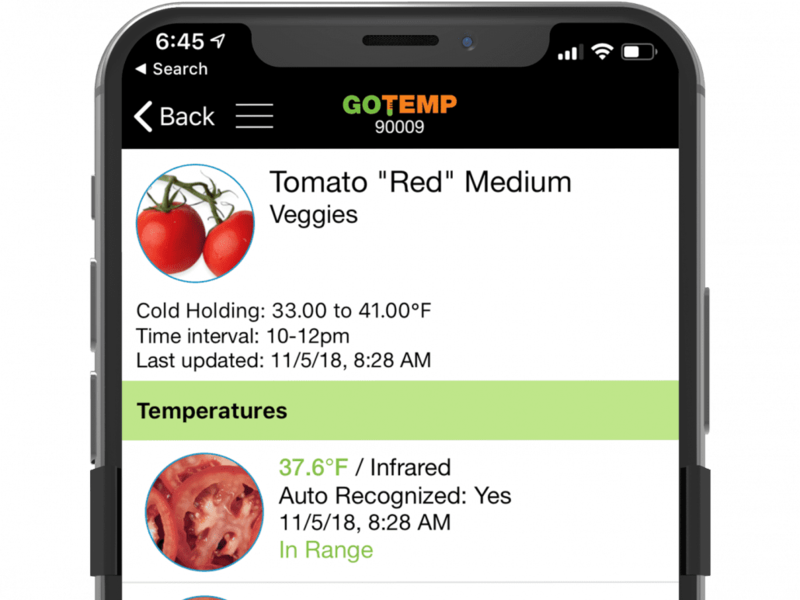 Automatic food recognition means employees just point the thermometer and GoTemp does the rest. Not only does it speed up the temping process, but it prevents fraudulent temps from being logged! Pictures from each temping session are even saved to the cloud. Built-in workflows walk through what to do. 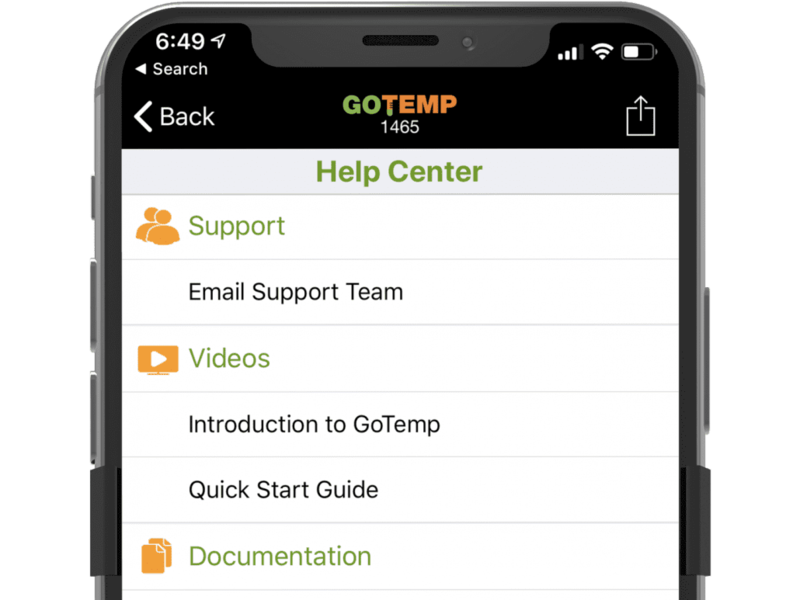 GoTemp doesn’t just tell you there’s a problem, it helps your employees fix it. 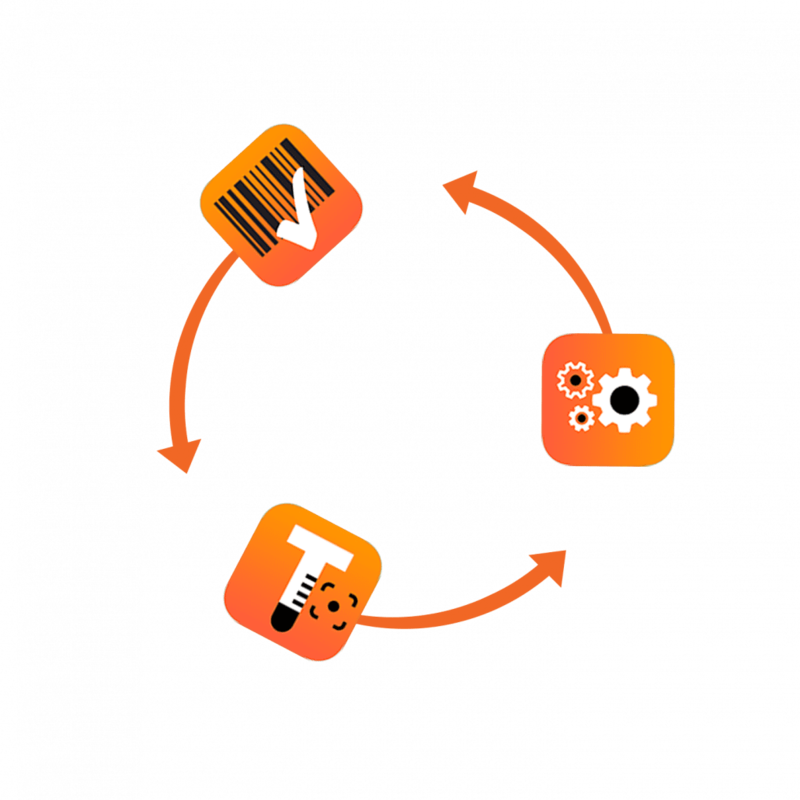 The app’s built-in workflows are customized to your brand and health code procedures, providing true on-the-job training. Avocados too warm? No problem… cool those bad boys in the walk-in for 30 minutes. 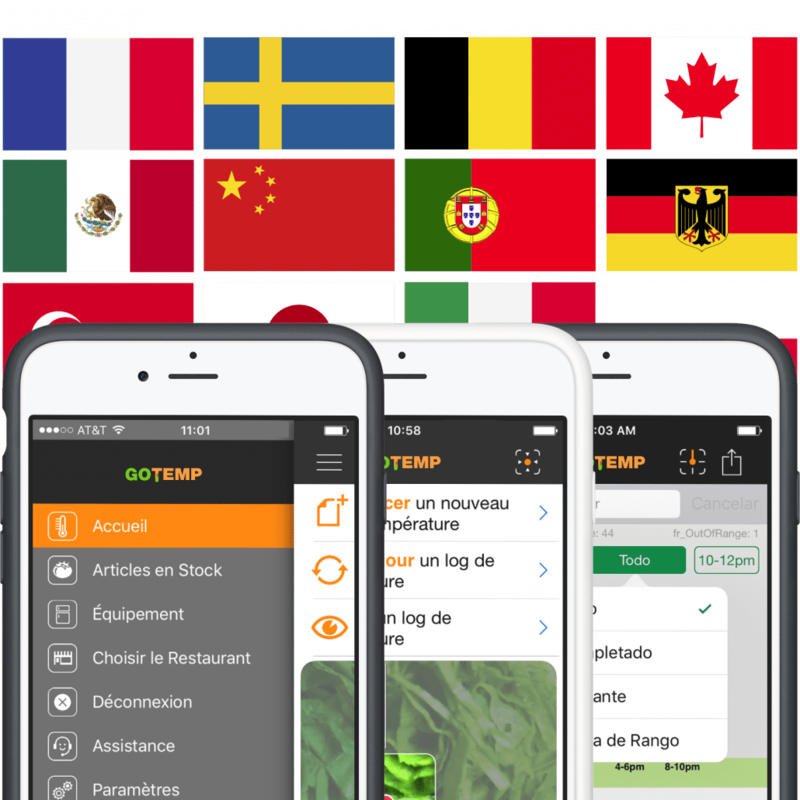 GoTemp will start a timer and ask employees to snap a photo for verification. 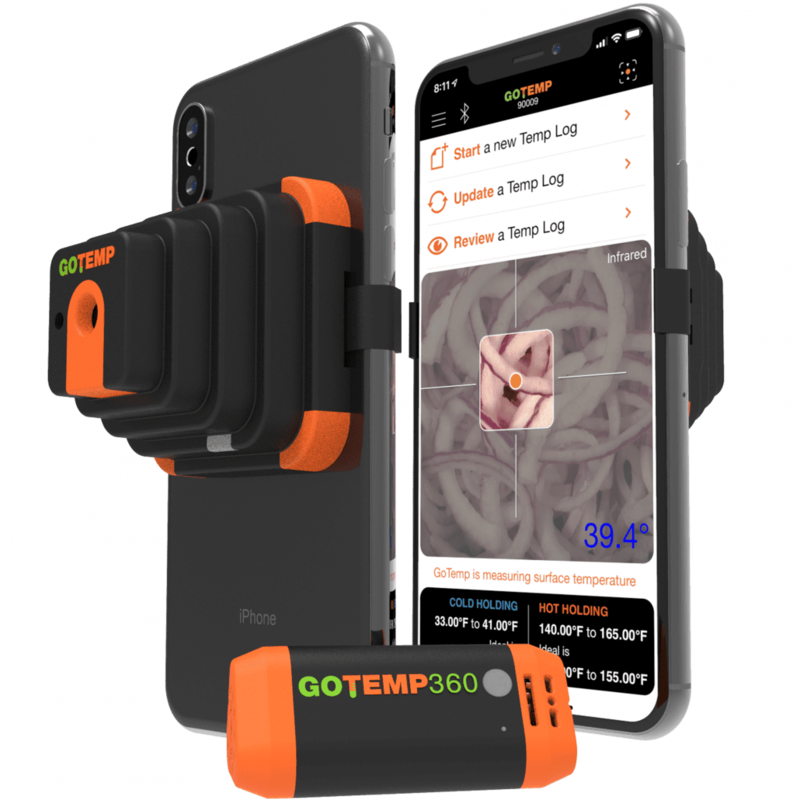 Mount and forget the GoTemp360 add-on sensor. Coming Soon: The GoTemp360 wireless sensor monitors your critical equipment like walk-ins and hot wells, automatically pulling temps from monitored devices when you start a temp log. 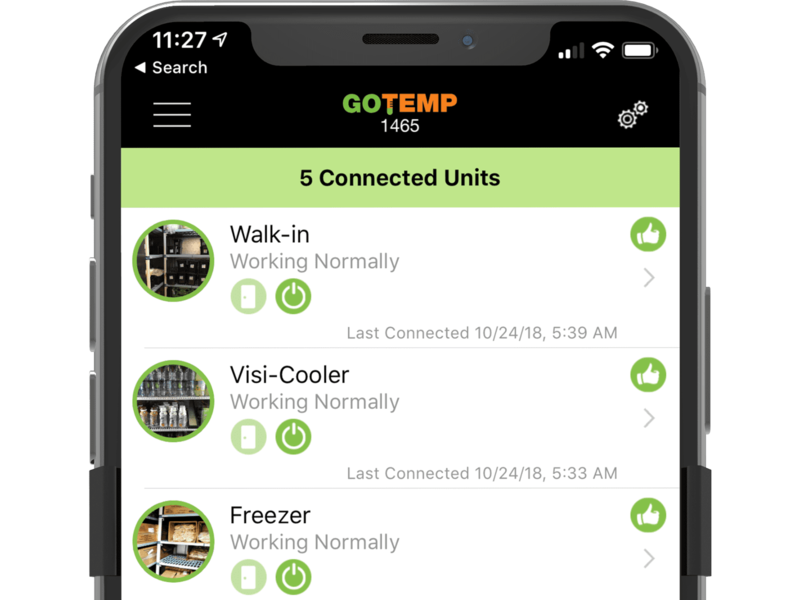 Get alerts if your walk-in goes down way before all that food goes bad, and since GT360 also measures vibration, door closure, humidity, and proximity, the app can even let you know when maintenance might be needed. 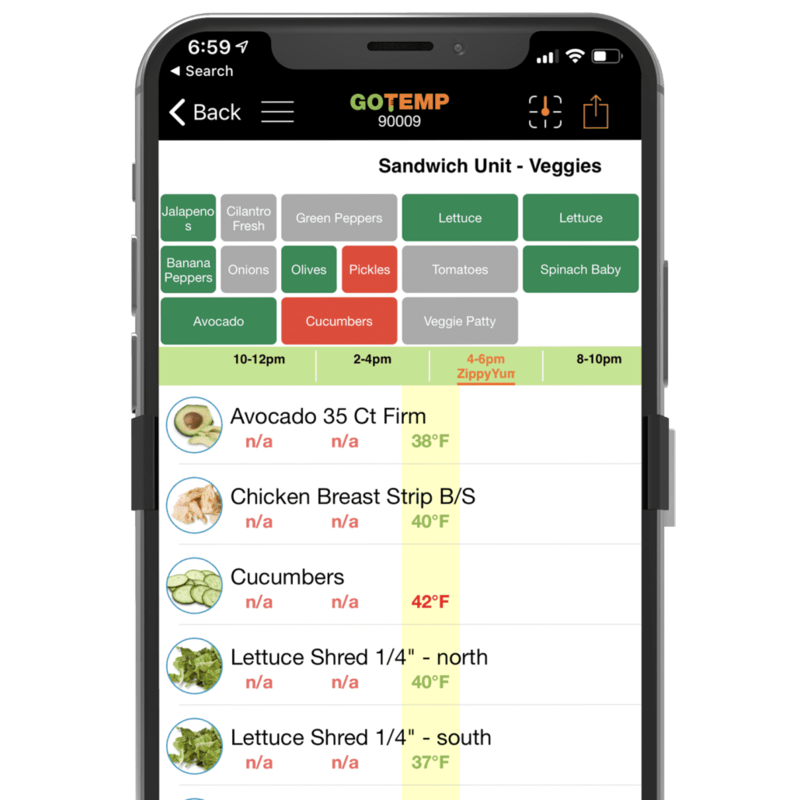 GoTemp comes with all the fixin’s. You can‘t fool GoTemp’s security features. 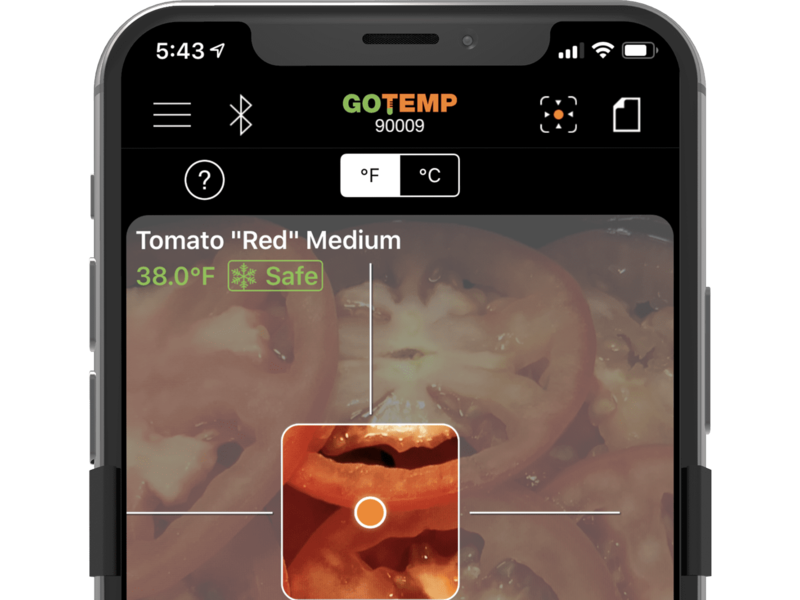 Food safety is mission critical for GoTemp. Say goodbye to Pencil-whipped temp logs, since every temp and corrective action is accompanied with a photo. 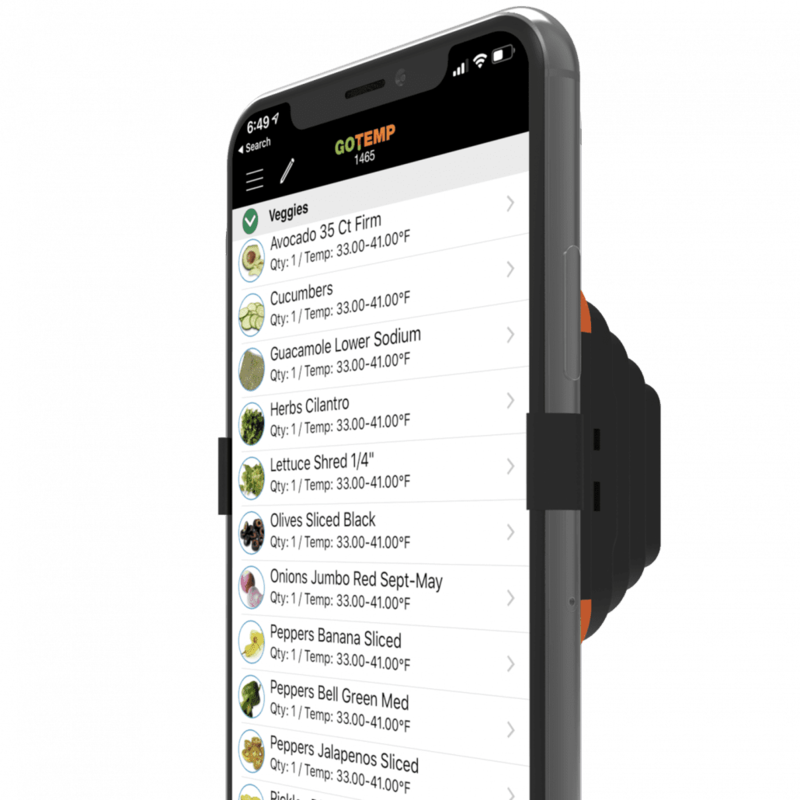 There’s nothing else as locked-down (or patented) as GoTemp, making it the safest and only way to take temps in your restaurant. 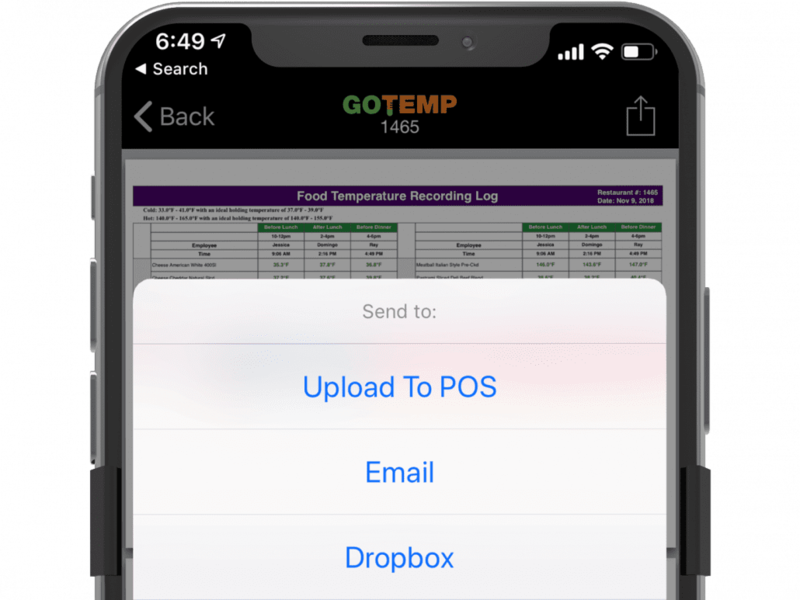 View your temp logs anywhere. 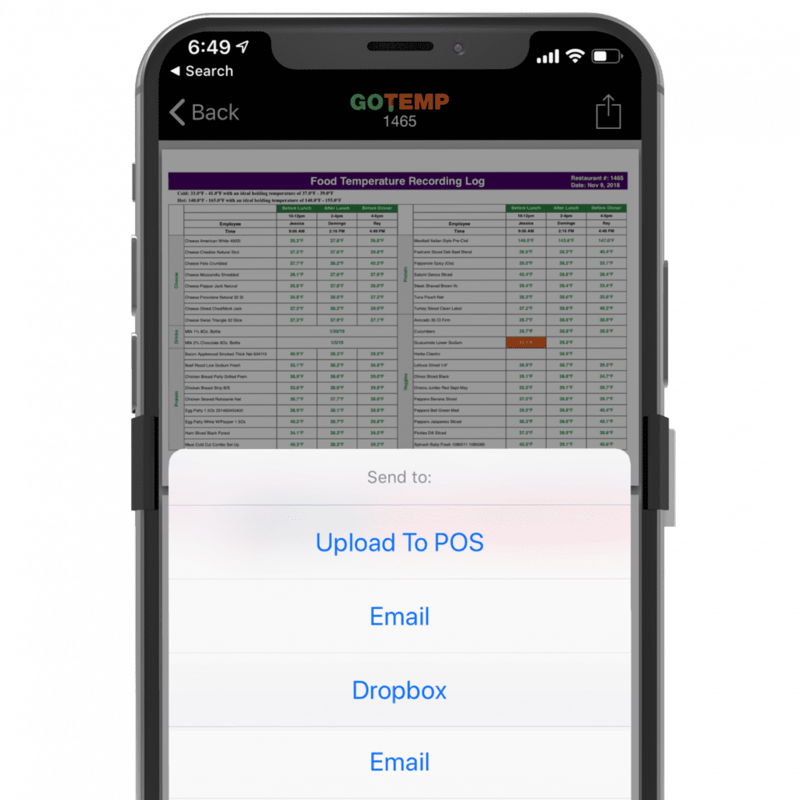 Your paper logs might be history, but GoTemp integrates with your POS to let you view live, digital GoTemp logs and receive temping reminders on right the POS. You can also view logs from anywhere using the app or on a tablet running SubOps. Multiple temping locations? No problem. 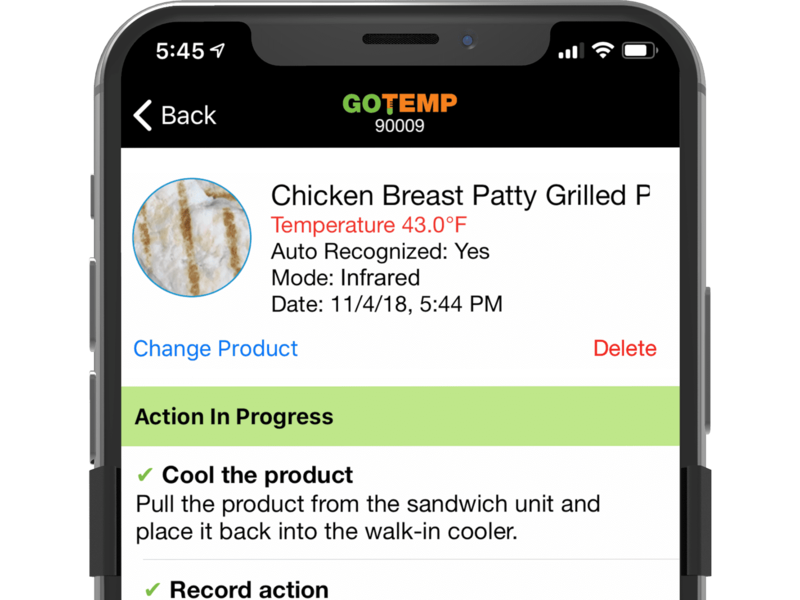 Whether you have three cold wells in your restaurant’s front, back, and drive-thru or just one in the front, GoTemp handles duplicate ingredients with ease. The app is fully configurable and will prompt you for an item’s location if it exists in more than one place. Our apps play nice together. 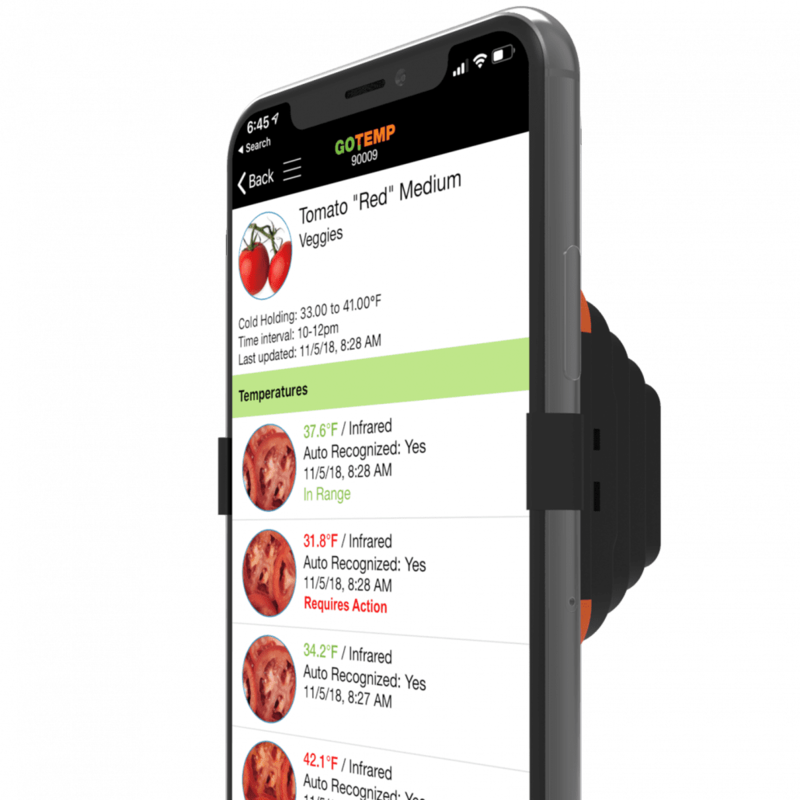 GoTemp automatically knows what products you carry in your restaurant and which products require temperatures to be taken, based off of your inventory in SubVentory. 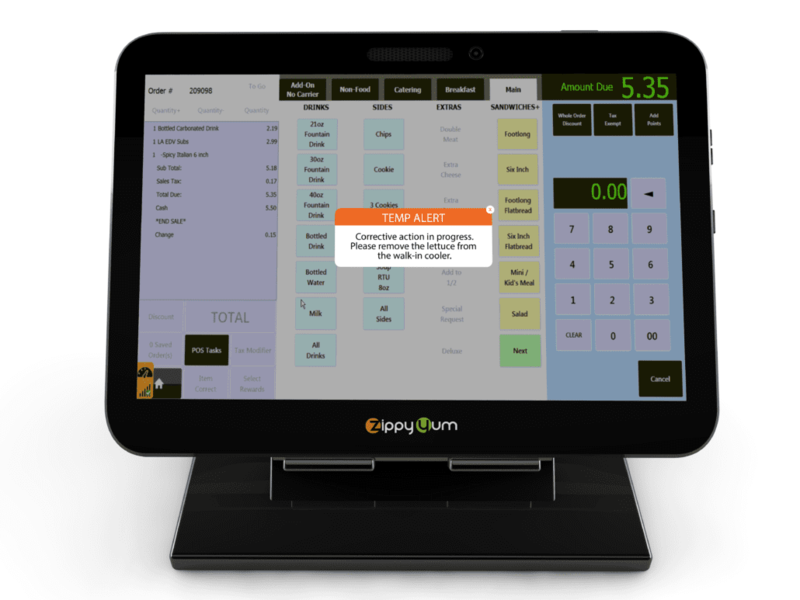 All ZippyYum apps communicate with each other to maximize productivity in restaurant. GoTemp features our fully customizable notification system. First choose what you want to trigger a notification, like a missed temping session. Then choose how you want to be notified, whether it’s a push notification, text, email, or all of the above. Your data’s safe with us. 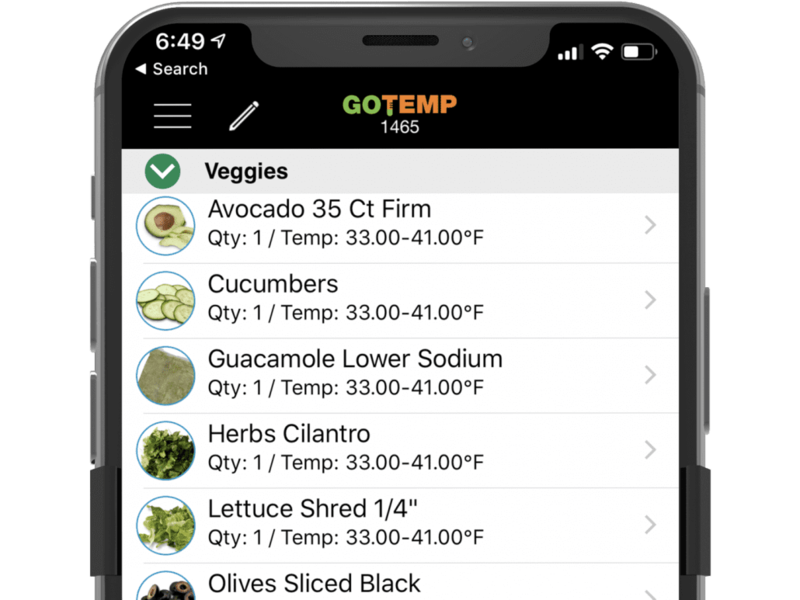 GoTemp plans include cloud storage for your temps, logs, food photos, and corrective actions. Your temp data can be saved in our cloud for several years in case a claim is made down the line. 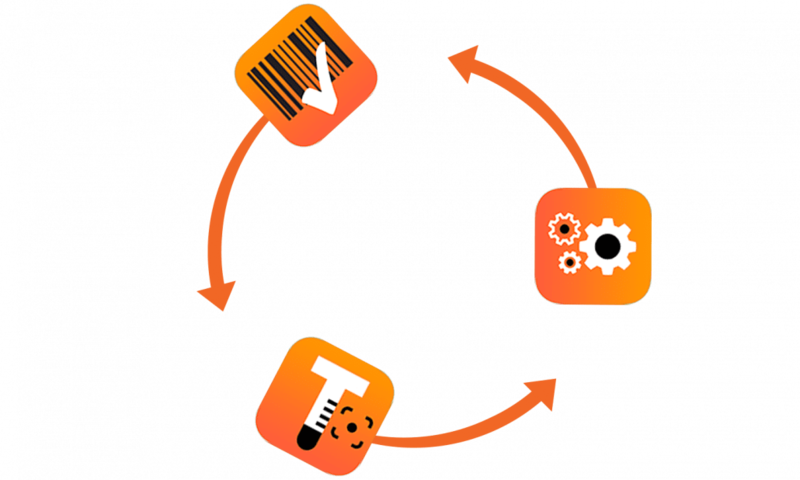 No need to manually add new products or menu items as they become available. The ZippyYum team manages and pushes out all content updates to GoTemp so all you have to worry about is actually taking temps. German, Italian, Turkish, Dutch, Japanese, Simplified Chinese, Portuguese, Polish, French Canadian, Swedish, Korean, and Thai. *MUO discount details available by logging into our shop, must have 26+ restaurants to qualify. 1Scallan E, Hoekstra RM, Angulo FJ, et al. Foodborne Illness Acquired in the United States—Major Pathogens. Emerging Infectious Diseases. 2011;17(1):7-15. doi:10.3201/eid1701.p11101.